The Barclays bank dates back to a goldsmith business in London at the end of the 1600s. Later, in 1896, several banks joined to form Barclays and Co. It grew into a nationwide bank and now operates internationally. Barclays offers personal and corporate banking services, and wealth and investment management. There are about 1,600 branches of Barclays bank in the UK, with a few thousand more spread across 55 different countries. They have a credit card division called Barclaycard. They also offer debit cards and other credit card types for personal current accounts. Barclays customers should follow the advice in this guide if they lose their Barclays card or it is stolen. If you cannot find your Barclays card, then you can freeze it temporarily. You must be registered for mobile banking with the Barclays app to do this. In the app, tap on “More” at the bottom and then “Your cards” to find this feature. This means that you don’t have to panic while you try to find your card. If it is definitely lost, or somebody stole it, then you will need to cancel the card and get a replacement. Once you report your card as lost or stolen, Barclays will immediately cancel it. They will send you a new card which should arrive in the post in 2 working days. This is only for debit cards, and it will take another day if you request a replacement PIN as well. The new PIN will arrive separately from the new card. If you do not request a new PIN, then the PIN for your new card will be the same as your old one. As soon as you ask to cancel the card, Barclays can protect you against attempts to make fraudulent transactions using contactless payment. If you need an emergency debit card replacement, then you might be able to get a new one at once by visiting the bank. Use the Barclays branch finder and filter by “card issue facility” to find the nearest branch that can do this for you. You will need to know your PIN and have valid photo ID for this service. 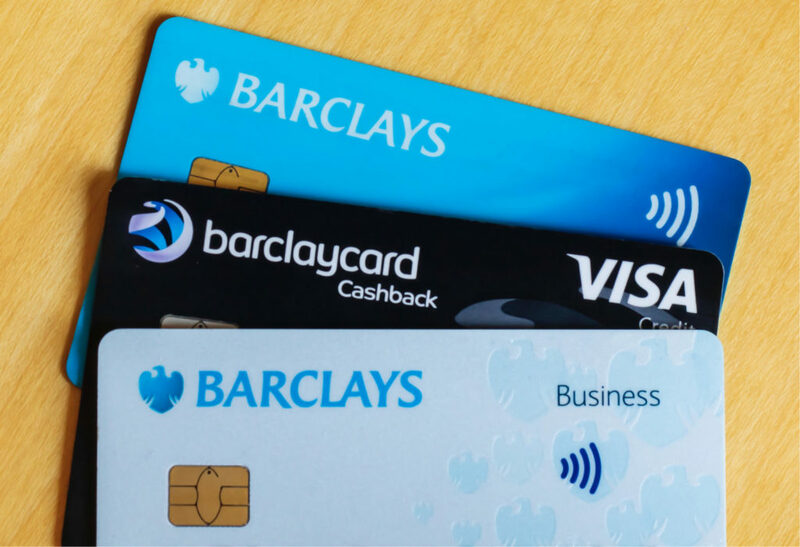 There are several ways that you can report a lost card to Barclays. If you need to speak to a Barclays adviser about your card and account, then it is best to call on the phone or visit a branch in person. Otherwise, you can cancel the card quickly by logging into your online banking or mobile banking account. You must be registered for the services beforehand in order to use them for this purpose. You can also access them 24/7, which is more convenient if the loss or theft happens outside of Barclays opening hours. Simply sign in and go to the card services options under the account management section. Here you can report a lost or stolen card and order a replacement card under the card management section. You can also request a replacement card even if you have not lost it, for example, if the card accidentally snapped. If you’re a Contactless Mobile user then Barclays will immediately update your account. When you receive a new card, they will automatically update your online and mobile accounts with the new details. Call Barclays on 0843 557 3371 to get help if your Barclays bank card is missing. Press 1 to report a lost or stolen card and then enter your card number. If you don’t know it, then you can press star and then enter your sort code. Even if you don’t know that either, you can press star again and just state the reason for your call. For example, any statement like “I have lost my debit card” or “my credit card was stolen” should be valid. You may have to provide more information to prove your identity before you get through the security checks. When you do get to talk to the Barclays adviser, you can ask them to cancel your card and send you a new one. If you have the Barclays mobile banking app, then you can fast-track the security checks. Use the “Direct Call” button in the app to make a secure direct call to Barclays regarding your account. The Barclays adviser will explain what will happen next and what else you might need to do. You should discuss your recent account activity to check for any fraudulent payments. Contact Barclays in person by calling or going into a branch to discuss alternative methods of making payments while you wait for a replacement card. This is the best thing to do if you lost a Barclays credit card. They can help you to arrange an emergency advance of up to £1,000 if you have the appropriate funds. You might also be able to get a temporary credit card. If you lost a Barclays debit card, you could get an emergency instant replacement card in a branch, as mentioned above. Otherwise, you will only have to wait a few days to get a new card after cancelling the missing one. 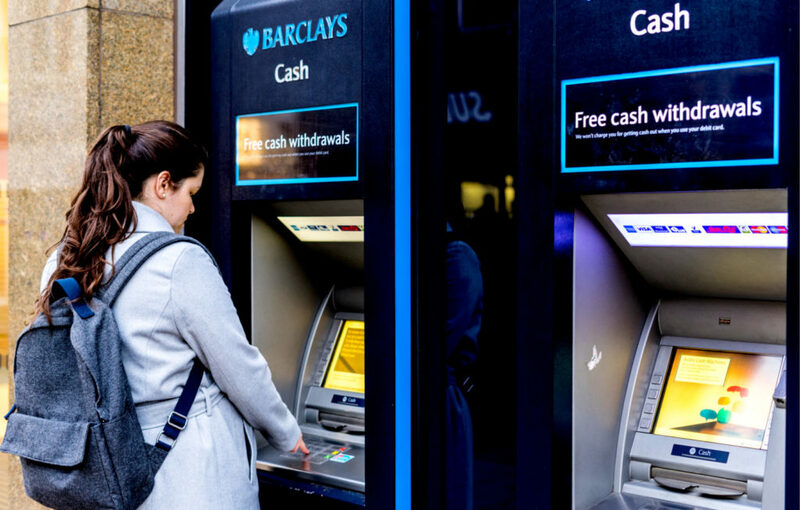 If you have the money in your account and you can provide valid ID, then you can withdraw up to £2,000 in cash over the counter when you go into a Barclays branch. If you have an Android smartphone, you can turn on the Contactless Mobile feature in the Barclays app. You can use your phone to withdraw cash from an ATM without your physical card. You will have to type in your PIN to do this, and there is a daily withdrawal limit of £300.